Irontree offers epoxy resin pipe lining, pipe patching as well as urethane pipe coating as an alternative to pipe replacement. This is a value option that eliminates costly demolition and repairs. 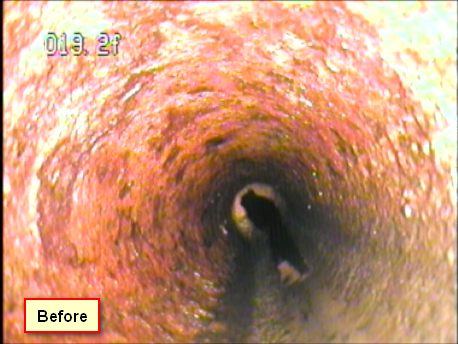 It revitalizes the pipe to like new conditions allowing for normal operation. Irontree utilizes the Hydraliner pipe lining system, Source 1 Environmental Pipe Patch system and Picote Pipe Coating System. Our installers are well trained and have completed many successful projects around the valley. The HydraLiner rehabilitation process can be used in a variety of gravity and pressure applications such as sanitary sewers, storm sewers, process piping, electrical conduits and ventilation systems. Our system will allow you to repair cracked or broken pipes, eliminate roots, bridge missing pipe sections and stop infiltration and exfiltration. It can be used with virtually any pipe material including clay, cast, PVC, ABS and concrete. HydraLiner systems can rehabilitate lines with 22°, 45°, and sweeping 90° bends and pipe diameter transitions. While conventional open cut replacement projects may take several days plus the cost of restoration materials, multiple HydraLiner lining projects can be completed each day. 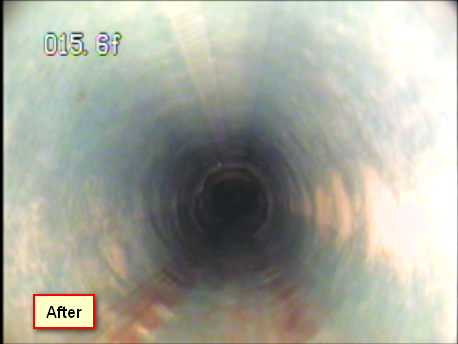 PipePatch restores structural integrity to damaged pipes, while exceeding the CIPP Specification ASTM F1216. This Specification requires materials to be tested for a 50-year minimum service life, verifying that PipePatch is unusually long-lasting and effective in ending infiltration. Because PipePatch creates a pipe within a pipe, the fully cured resin and fiberglass serve as a structural barrier between the interior of the pipe and the exterior environmental conditions. Additionally, many PipePatch products meet NSF and ICC-ES-PMG specifications. PipePatch’s trenchless technology has been tested and proven to withstand pressure, extreme conditions, and time to ensure that the pipe is rehabilitated and preforming exceptionally for years to come. The Picote Pipe Coating System, unlike inversion-process liner systems, a brush-cast application isn’t limited by abrupt angles. And unlike spray-on coatings that simply cover a substrate, brush-cast application works the coating into the substrate, pushing past residue and deeply into the surface material for the strongest bonding and adhesion. Brush-cast pipe coating can be used to line waste pipes as well as pipes that are subject to high pressure, high temperature or frequent exposure to some chemical substances. Pipe coating also offers high production capability in larger, complex jobs, since the completed coatings do not require return trips to cut, trim and reinstate mid-run joints or fixtures. The urethane coating dries to the touch within hours, reaching full hardness in seven days. Pipes can be reconnected in a day. Even after reaching full hardness after seven days, the coating remains flexible enough to withstand shock and bending, which greatly prolongs the service life of the pipe up to 50 years. It can be used to renovate an entire pipe system or finish off a point repair for a wide range of pipe materials including cast iron, PVC, concrete and clay. Want more information on pipe lining or pipe patching? Contact Irontree for your next commercial plumbing project!